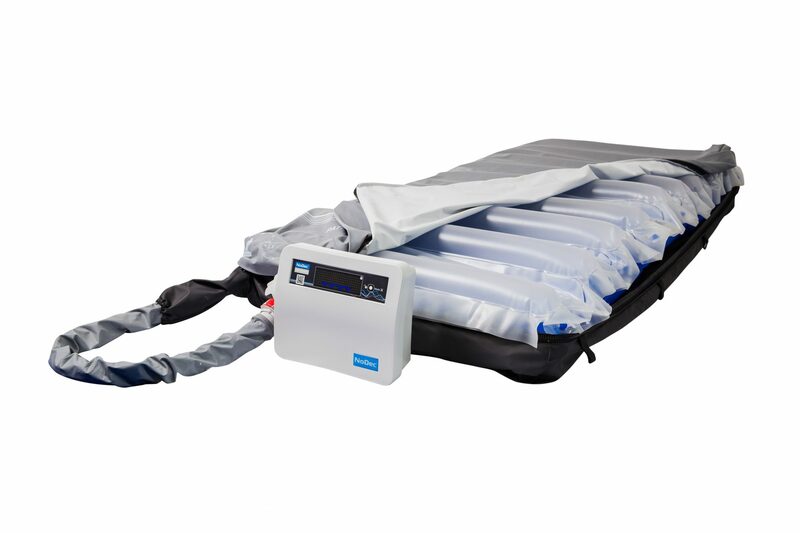 AIRSTREAM2 is a new generation, large cell, double layered, alternating pressure air mattress that provides effective care and protection from pressure injuries in patients at high and very high risk. AIRSTREAM2 is a dynamic mattress that provides effective pressure relief which stimulates reactive hyperaemia in the deep tissues around the vulnerable bony prominences. The 10 minute, two cell-cycle action of AIRSTREAM2 will accelerate the healing of existing pressure injuries. 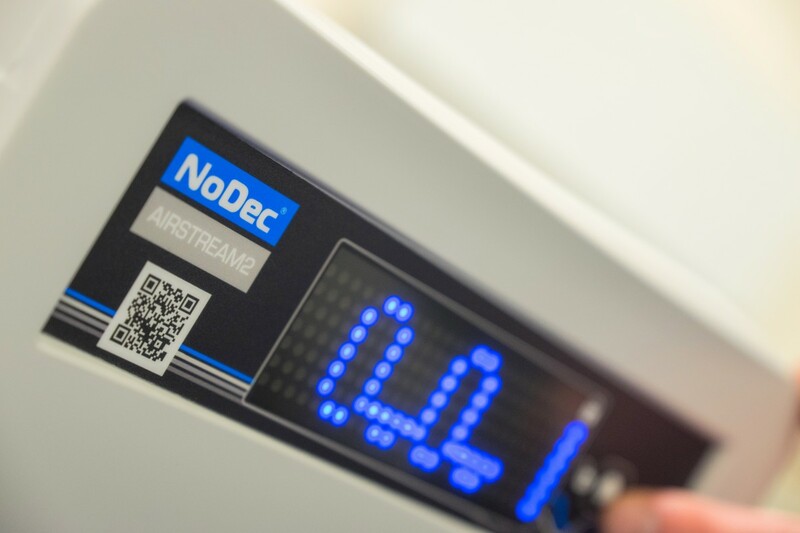 In-built pressure sensors along with sophisticated electronic and pneumatic circuitry allows for efficient changes in air-cell pressures and automatic adjustment to patient weight and body position. Advanced engineering and a powerful compressor have enabled the creation of a dynamic support surface that is therapeutic for patients weighing up to 220 kg. AIRSTREAM2 has an integrated air-cell structure whereby the air-cells in each layer are ultrasonically welded together providing 2 layers of conjoined cells held firmly in position by side clips. By holding the active cells in fixed positions, the removal of interface pressure during deflation is from exactly the same place it was applied when inflation occurred. Each deflating cell efficiently retracts away from body contact creating defined areas of high then low pressure. The unique mattress construction of AIRSTREAM2 is comfortable and safe for even the most frail of patients. A permanently inflated base layer of longitudinally placed, conjoined air-cells contains a large volume of air at low pressure which enhances patient comfort and makes “bottoming out” impossible even with a patient sitting up in bed. Two extra-large air-cells along each side of this base layer provide a firm and stable edge to the mattress and protect patients from falls as they transfer out of bed to trolley or chair.